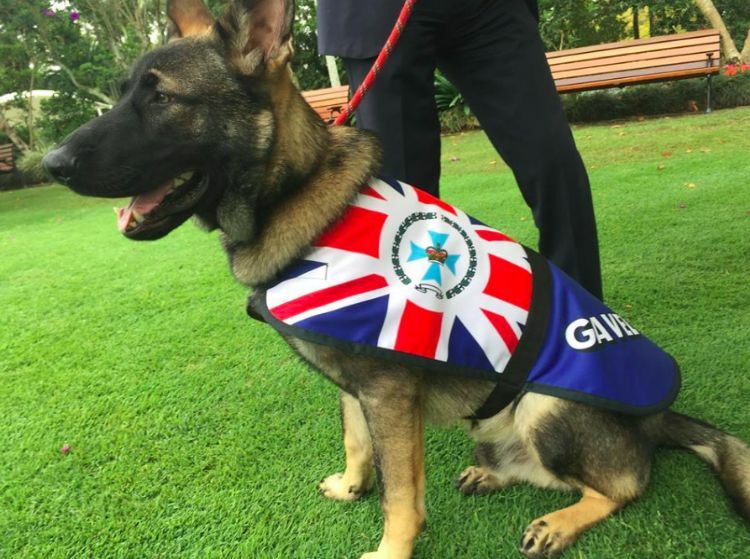 Gavel was born and bred to serve, destined for a happy life serving and protecting Queensland, Australia, from all types of criminals. 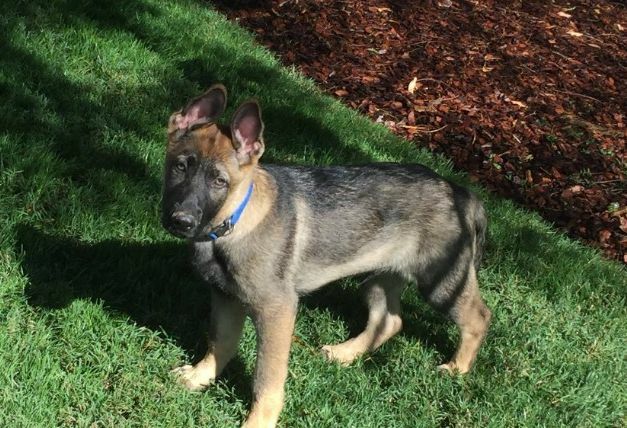 He was just 6 weeks old when he moved into the governor's mansion, ready to begin his training. 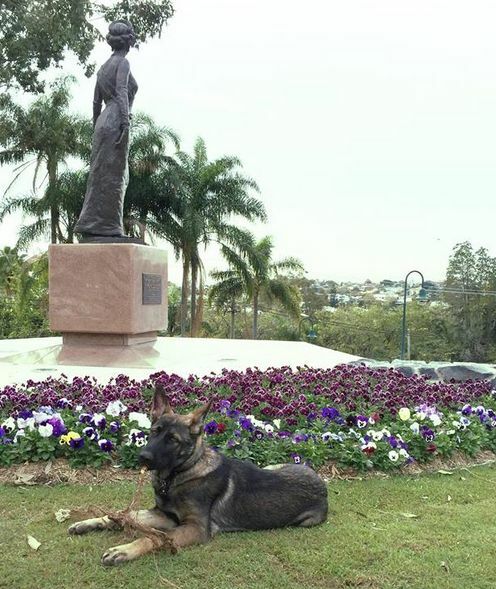 Unfortunately, despite his pedigree and the best efforts of the canine corps trainers, Gavel had a fatal flaw for police work: He was too nice. He just didn't have the proper temperament to be a canine officer. 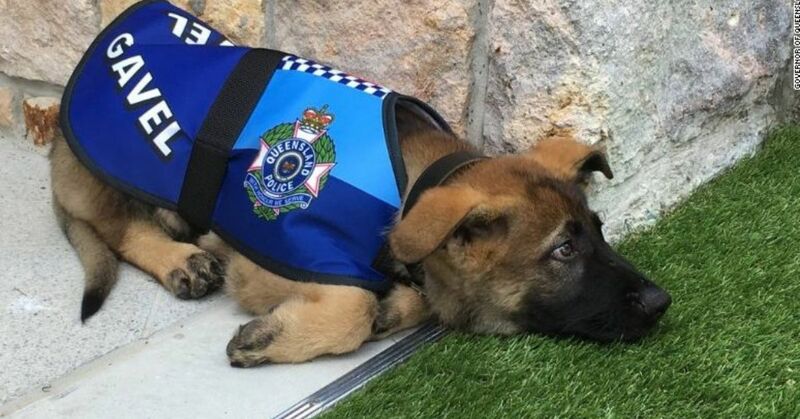 He was rejected from the police dog training academy, his future uncertain, his hopes dashed. But his friendly, eager-to-please demeanor didn't go unnoticed, and Gavel soon had a new career, one better suited to tail-wagging and hand-licking of the diplomatic sort. 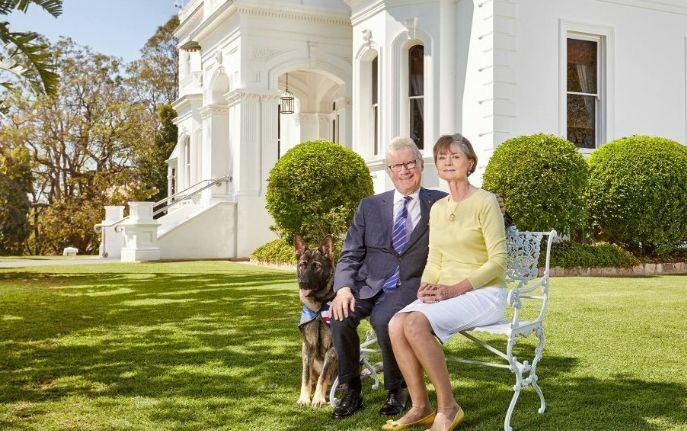 Gavel was given a fancy title, vice-regal dog, and a place of honor in Government House. 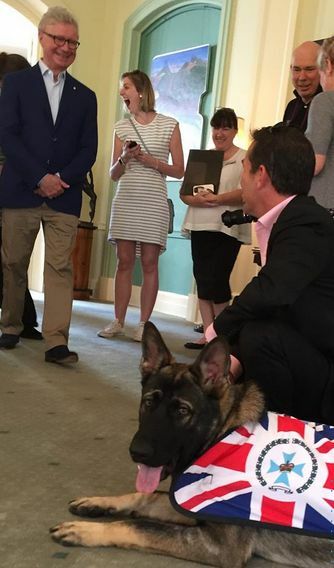 So instead of helping fight crime, he spends his days as a four-legged ambassador, greeting dignitaries and tour groups and participating in ceremonies. He was present at a citizen ceremony in which 24 new Australian citizens from 13 countries took their oath of citizenship. Belly rubs for Gavel optional but welcomed. And of course he has a handsome uniform to wear while performing his duties. His custom-made coat features the flag of Australia and the coat of arms of Queensland. Gavel has become the face of facebook for the governor, with many posts of him performing his duties or just goofing off. One facebook fan from Texas wrote, "Thank you for finding a position that Gavel was born to fill. He has become an ambassador and faithfully fulfills his duties. He is a treasure. Thank you for recognizing his values and gift to not only your people but tourist[s] from all over the world. Please keep posting pictures."